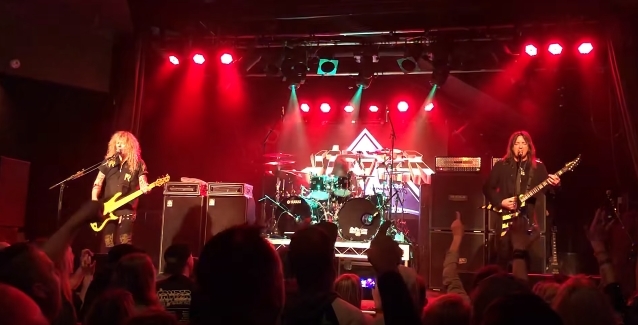 STRYPER kicked off its Australian tour last night (Friday, August 17) at Max Watts in Melbourne. Fan-filmed video footage of the concert can be seen below. 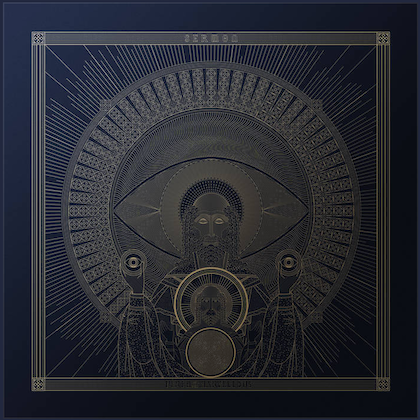 The band is touring without its guitarist Oz Fox, who was forced to stay home after collapsing onstage during a Las Vegas performance last weekend. Doctors who have been treating him have found two tumors in his head — one by his ear and the other in the back of his brain. Oz's wife, Annie Lobért, wrote in a Facebook post that he "cannot drive, fly or work for three months because of the potential seizures." 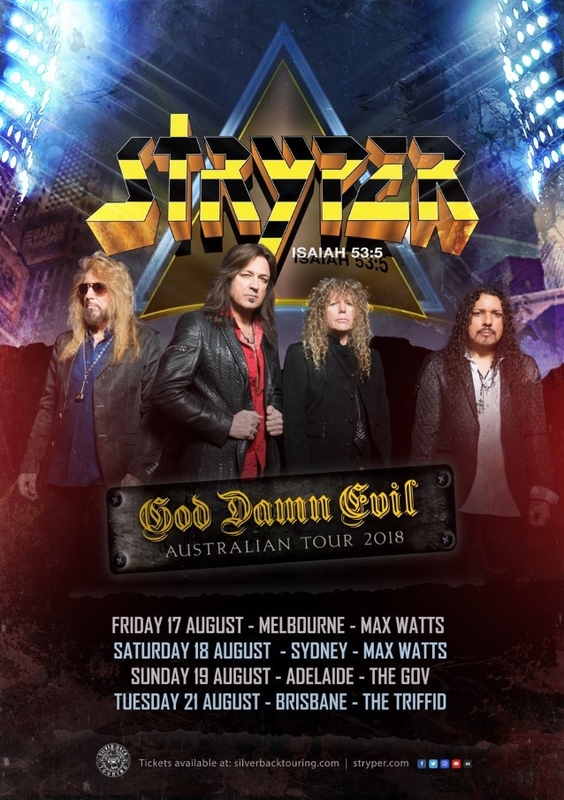 Furthermore, STRYPER has had to cancel its Japanese shows because Oz cannot perform due to his medical condition. The band's frontman, Michael Sweet, said in a Facebook post that he's been friends with Oz since he was "almost 13 years old. We've been a 'duo' for almost our entire lives and I love him," he wrote. "He's family and a brother to me... We're all waiting to hear good news and we're all praying deeply for that. "The important thing right now is Oz's health and well being," Sweet added. "Please continue to pray for him at this time. Pray for Annie and his family as well." Formed 35 years ago, STRYPER is the first overtly Christian metal band to go mainstream. The group's name comes from Isaiah 53:5, which states: "But he was wounded for our transgressions, he was bruised for our iniquities: the chastisement of our peace was upon him; and with his stripes we are healed."